2 night stay in Singapore at Rendezvous Hotel Singapore including breakfast. 1 day Funvee Singapore Hopper Pass. Transfer from your hotel to cruise terminal. 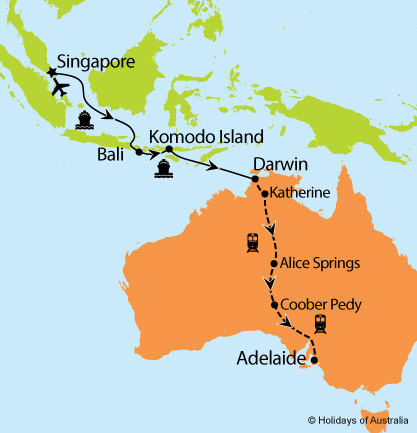 7 nights aboard Pacific Dawn from Singapore to Darwin including port calls in Bali & Komodo Island. Includes on board meals and entertainment. Transfer from the cruise terminal to your hotel. Includes half day Darwin City Sights tour. 3 night stay in Darwin at the DoubleTree by Hilton Esplanade including breakfast. Full day Litchfield National Park tour. Transfer from your hotel to the rail terminal. 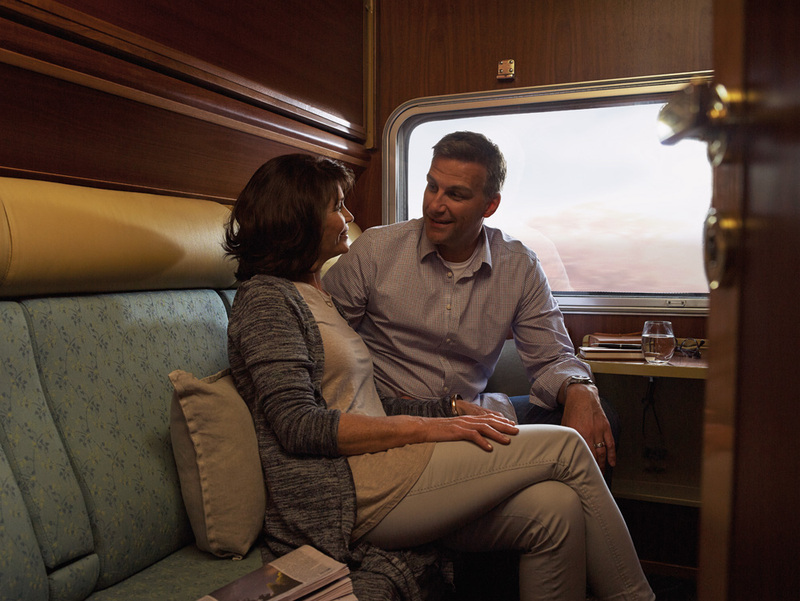 3 nights aboard The Ghan Expedition travelling from Darwin to Adelaide in Gold or Platinum Service. Includes all meals, drinks, and off train experiences in Katherine, Alice Springs & Coober Pedy. Above pricing is based on the arrangements listed under package inclusions only. Itinerary is subject to change or substitution. †Transfers included within a 50km radius. Extra km’s additional. ^Departures from Hobart are subject to a supplement of $200 per person. *Minimum numbers required for this tour to depart with host. ^Save $300 per booking offer is available on new bookings only and has been applied to the advertised price. Valid on bookings made & deposited by 26 Apr 2019.